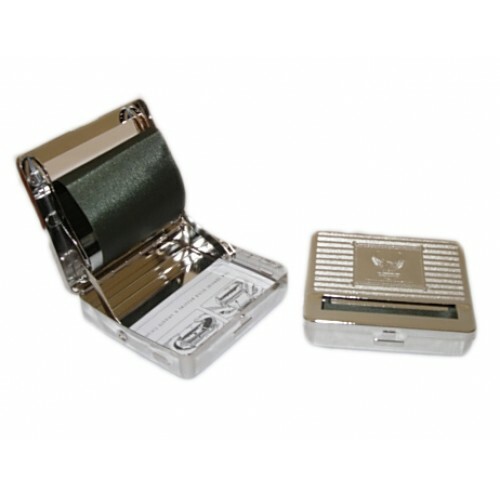 Metal cigarette rolling machine, Ideal for regular size rolling papers. Emboss print design on top of the lid, available in all different pattern so design may be vary. Also it has in-built storage to keep your herbal stuff. Rolling machines are used to roll your own cigarette. Size : 90mm x 80mm x 20mm. Features Regular size auto roller automatic rolling machine for regular cigarette roll papers.